Since it's founding, My Trio Rings has been dedicated to saving couples their hard-earned money on their diamond bridal purchases. Over time, we've had the privilege of being covered by many organizations in our community, covering many things we do that help brides and grooms everywhere. Below is a list of a few of our most recent mentions! There's now an amazing spotlight of My Trio Rings for ring style BR565W14K in the December seat-back issue of U.S. Airways' style review! Read more about the exciting travels to Costa Rica and check out the interactive digital version of the issue here or check out a clip out below! For the month of November, My Trio Rings was the spotlighted jewelry company! Check out the Lover.ly email here! Starting November 15th, My Trio Rings will be offering a drastic discount on one of our most popular ring styles. Check the deal out here! 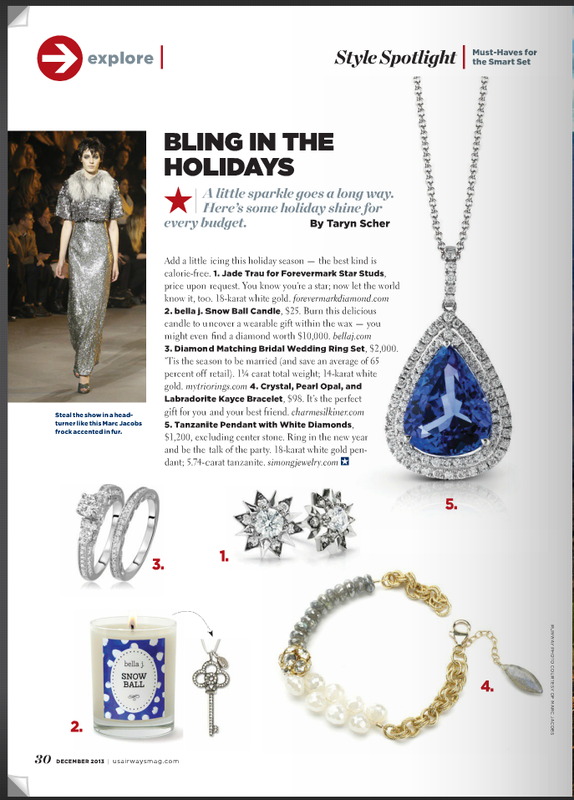 NYC's Premier Fashion, Health & Wellness Magazine recently featured one of My Trio Rings gorgeous new 1 & 1/2 c.t tw. Trio Ring Styles!. See page 80 of the digital version of the magazine below or pick up your copy of the December issue here! Under30CEO is a leading online leadership and management publication which recently nominated our Founder and CEO Vipul Lakhi as a rising CEO to watch in NYC! Read the full list here! Business Review USA - Where is eCommerce trending for 2014?